The bouquet is attractive and shows its fruit driven character. Unobtrusive, smooth tannins produce an excellent mouth-feel and combine with lively acid to lift the fruit. The palate shows signs of warmth; the flavour profile is savoury, with plum, milk chocolate, and blueberry fruit, it’s a damn good barbecue wine and well and truly drinkable. Medium-weight with a supple consistency; the complexity is agreeable and the wine is still tight. Rated as Agreeable with ***** for value; drink over the next three years. 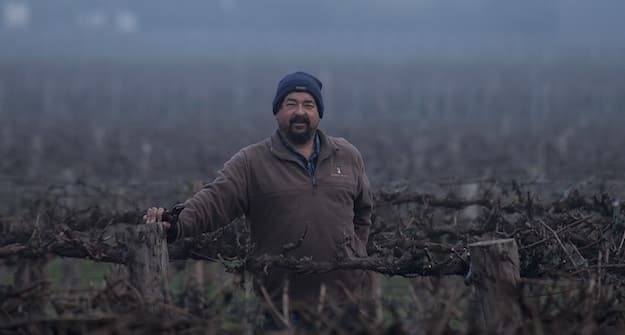 This is the first vintage that fruit has been sourced from an 85-year old dry grown bush vine vineyard in the Kalimna region of the Barossa valley. I believe that this considerably adds to the complexity of this wine. A brooding, savoury, spicy bouquet leads to a palate of plum, nutmeg and chocolate flavours that finish with reasonable persistence. It’s well backed by unobtrusive, silky, dusty tannins and whilst it is not showing a lot on the back palate now, hopefully it will fill out with a bit of time. A clean, modern-style, it is medium-weight with a supple consistency and solid structure, which makes it a very easy-to-drink, great crowd-pleaser. Rated as Agreeable with **** for value, whilst it’s approachable now, with another couple of years in the cellar, the rating should improve. Is an unusual blend of Cabernet, Shiraz, Petite Verdot and Grenache – but it works. Deceptive! An easy-drinking, fruit-driven wine that’s perfectly balanced and put together; the Cabernet component dominates. Blackcurrant and mint, its savoury, but there is a sweet lower layer of chocolate as well. Ample-weight with a supple consistency and harmonious complexity, it’s most enjoyable and will be perfect with pasta. Rated as Agreeable with ***** for value, it is a steal and every home should have a couple of cases. The bouquet shows clove, blackberry and coffee, so there is a fair amount of oak influence, but less than in previous years. Fine, powdery, drying tannins combine with fresh, lively acid and pure fruit to produce an ample-weight, well-balanced wine with a supple consistency, solid structure and agreeable complexity. Clove, plum, black cherry, a minor amounts of dried herbs, and slightly green tannins, (which are no doubt are a product of the vintage); the wine finishes with good length and whilst my rating might be seen as a bit harsh, it is a good result for a difficult year. Rated as Recommended with **** for value, drink from 2009 and beyond. The bouquet is beautifully perfumed fruit and coffee oak. The palette has ultra fine- grained tannins that are totally unobtrusive and provide a solid backbone to hold the wine together and provide a lovely mouth feel. Savoury coffee and clove from the oak combine with sweet underlying red berry fruit and savoury blackberry flavours. Like all the wines from this winery, it is full-bodied, has a solid structure and firm consistency. The complexity is harmonious and agreeable, the wine just slips down and it is ready to be drunk now. This wine has been matured in the bottle prior to release but should continue to improve for some time to come and as with all my wines decanting prior to serving is recommended. 2004 Boundary Row GSM: Silver Medal – Class 69: ‘Dry Red Wine, single variety or blends – 2004 vintage’. Australian Small Winemakers Show 2006. 2004 Boundary Row GSM: “Layers of bright cherry, camphor and aniseed aromas. Big, chewy, chocolate palate with plums and prunes and an attractive perfumed character. Long, well balanced and a tad hot.”-****1/2 Winestate March/April 2007. 2004 Boundary Row GSM: “There is great value to be found in this Grenache dominant wine from little known Barossa producer Kurtz, its powerful “pepper and spice” mid palate a defining feature. Add to the positive’s ledger a palate of delicious plum and raspberry-like fruit flavours that linger nicely and you have a terrific wine well worth seeking out. This bottle disappeared remarkably quickly.” 92 points. Tasted December 2006- Grant Dodd The Wining Pro. 2003 Lunar Block Shiraz: “Think soft and cuddly. Think chocolate, mocha, a touch of spice, but think of this as a familiar old friend with whom you can find the comfort zone right away. Settle back, put up the feet, grab the remote and just keep filling the glass. It will disappear really quickly. Lovely, approachable, siphonable Barossa Shiraz.” 92 points. Tasted January 2007- Grant Dodd The Wining Pro. 2003 Lunar Block Shiraz: **** Winestate July August Issue 2007. New releases. 2004 Seven Sleepers Dry Red: “Rich, syrupy nose with gamey/leathery complexity. Powerful and complex cherry and spice palate. Excellent balance between the oak and the fruit and still showing great freshness.” ****1/2 Winestate March/April 2007. If you would like to order any of my wines please complete the contact us section on our web page and I will be back in touch as soon as I possibly can. Thank you for considering the purchase of my wines and I trust that you will be satisfied with your purchase.